Q was really hard. I ended up going with Quetza from my own Dual Magics series. R was Ron Weasley, of course. And S could only be Samwise Gamgee. It’s an interesting experience. I’ve had something like it when I started the rewrite of THE SHAMAN’S CURSE. But that was something I’d first written at the beginning of my writer’s journey. A story I still wanted to tell, but had told badly the first time I tried. That was an experience in realizing just how bad those first efforts were. After publishing the boxed set of young adult fantasies, BY SWORD, TALE, OR MAGIC, I started reading them. At first, I thought it was an in-depth format check. But I’ve found I got sucked into my own stories–and I know how they’re going to end if anyone does. Not to say I haven’t found things I’d do differently if I wrote that story today. Probably the biggest one is scenes I clearly remember, but didn’t remember cutting from the finished novel. Most were rightly cut. There’s always some of that in the editing of any story. Others I can’t recall why I cut. Probably trying to fit within some externally dictated length. A few, I wish I hadn’t cut. That’s an interesting perspective to carry with me into my next set of revisions. A useful experience. And affirming. All writers need that from time to time. I now know exactly what happens in the next several chapters of BEYOND THE PROPHECY–and I’m still not making much progress. It’s not editor brain (at least, I don’t think it is). It’s my brain during a heat wave. I don’t know how many of you have read Terry Pratchett. (If you haven’t, you should.) A subseries in his Disc World series deals with the Night Watch, which (after the advent of Carrot, anyway) includes not just humans, but dwarves, a werewolf, and a mountain troll. I don’t remember the troll’s name off the top of my head, but I do remember this little plot point. The troll was big, strong, and intimidating to the bad guys. He was also dumber than dirt–until one night he got locked in an ice house. Then he was brilliant. So one of the dwarves built him a hat that would keep his head cool so that he could be smart all the time. I need someone to invent that hat in this world. The kind of concentration it takes to write a first draft simply eludes me right now. Maybe my efforts would be better directed to a little revision for the duration. They say this heat wave will end soon–but we all know how much we can trust weathermen. I’ve gotten the first critique back on THE IGNORED PROPHECY and it looks like I may have a lot of work to do on that. Sequels are hard. More on that in my next post. I posted a short while ago about the problem of pre-orders in connection with the launch (in less than two weeks) of THE SHAMAN’S CURSE. One of the things I’ve done since then is to do some reading. Sometimes, when you don’t see the way forward, the best thing to do is a little research. I read LET’S GET VISIBLE by David Gaughran and changed the way I’m looking at this. I highly recommend this book. I’m starting LET’S GET DIGITAL soon. The point of having a lot sales all hit at the same time from pre-orders is hitting the popularity lists so that the book gets extra visibility. I don’t know, maybe that’s still important for traditionally published books. Not so much for independently published books, though. The reality is that pretty much no matter what I do, my book is not likely to hit the popularity lists (those lists that suggest other books to you) on Barnes and Noble or Kobo or Apple. Those lists are still heavily weighted in favor of traditionally published books. The only place where there’s close to a level playing field for indies is Amazon. And Amazon changed their algorithms a couple of years ago. Once upon a time, that spike in sales would have made a difference on Amazon. But then a lot of people started gaming the system–book bombs to get a lot of people to buy the book all within a narrow time window, for example. It didn’t really have anything to do with the long-term popularity of the book, so Amazon changed the way they calculate the popularity lists. Now, that one-time spike sinks right back down again in the ratings. What gets rewarded now is sustained sales over several days. That means, I can plan to do several different things over the launch period. (I’ve already got a couple set up.) But I don’t have to–in fact I shouldn’t–put all my eggs into that one launch-day basket. Getting the word out during that first week or so is important. Maybe even the first two weeks. Frankly, that’s a lot less stressful. I’m going to try a blog hop, today. It’s called What’s Up Wednesday. Right now I’m reading LET’S GET VISIBLE by David Gaughran, because this is stuff I really need to learn to do better. I need to pull up one of those new novels on my kindle and start reading. I’m in the middle (almost) of the rewrite of THE IGNORED PROPHECY, which is the sequel to THE SHAMAN’S CURSE. I’m basically keeping the plot the same, but using the writing skills I’ve learned in the last six years or so. Well, doing a rewrite is mostly just a slog, a special kind of revision. I had the inspiration for the story six years ago when I wrote it (badly) the first time. Although I do love these characters and I’m excited and a little nervous to get through this one and on to the third book. The third book scared me back then, but I think I can write it now. It’s the book in the series (four books in all) in which everything falls apart. I’m also starting to get excited again about my WEIRD OZ STORY. (Which is why I’ve been reading some of the Oz books.) I made an abortive start on this story about a year ago, but it wasn’t right. I had a pretty good idea what was wrong, but I needed time to figure out how to fix them. Reading some of Baum’s Oz stories beyond THE WONDERFUL WIZARD OF OZ has gotten me thinking about some new elements. 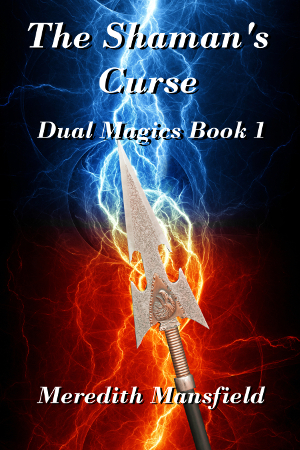 Preparing for the launch of THE SHAMAN’S CURSE in a couple of weeks. I really need to learn to this part so much better. Finishing up the last little bits on DAUGHTER OF THE DISGRACED KING so I can start querying that one. I finished the synopsis yesterday. Now I just need to go back over the first couple of chapters. And dealing with a lot of clean up and other business that got postponed when I got the chance to work steadily for the last six weeks (ending last Thursday.) I’ve still got several things to do before I can settle Mom’s Trust. First up, I need to prepare for an estate sale. It’s amazing how much stuff can be accumulated in 95 1/2 years, especially living in the same house for about 65 of those years. A lot of it is good stuff, but there’s just too much of it. Way past time to clear out some of it out. 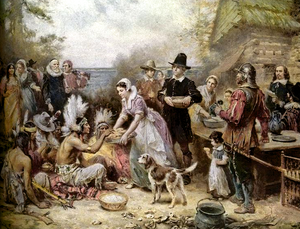 Tomorrow’s Thanksgiving. Lots to do. But, I’ve been thinking about something lately, so I’ll talk about it here. I’ve recently finished (yesterday, as a matter of fact) an interesting indie book (FLEDGLING by Nicole Conway). This made me think of the prevalence of orphan and/or abused and/or seriously misunderstood protagonists, especially in middle grade/young adult stories. Harry Potter immediately comes to mind, of course, but he was far from the first. Anne McCaffrey’s Menolly in the Harper Hall trilogy. Taran in Lloyd Alexander’s Prydain Chronicles. Even Luke Skywalker in the original Star Wars trilogy. I could go on and on. The trope of the orphan boy or widow’s son who makes good goes all the way back to fairy/folk tales. And it made me wonder. Why? Why do so many stories start with this kind of hero? I think there are several reasons. For one, at least as far as middle grade stories are concerned, I think we all go through a period around those years when we believe no one understands us. It’s something the readers can relate to, at least as far as the misunderstood protagonist goes. Another reason might be that it builds in some initial conflict while the story gets started. While the narrative is building to the inciting incident, the character already has something to fight against. And it can even be a further complication–something, perhaps, that makes the hero doubt himself–once the real story problem is in full tilt. But sometimes I think it’s just done to build sympathy for the main character, like having him pet the cat. And that just makes me want to break type. Someday, I’m going to have to write a story in which the orphan is bitter and becomes the villain. Just because I can.